For NYE, make a cocktail that sparkles like your bling! The New Year is drawing to a close and (thankfully) we will soon be leaving 2016 far behind us. To welcome 2017 it’s only right that we should greet the New Year with a glass of something special in our hands and so I present to you the Prosecco Kir Royale made with Tesco’s Finest Prosecco, possibly the easiest sparkling cocktail there is. And the finished product! Cheers to your Rudolph's Red Nose! Hello dear Readers! ‘Tis the season to be merry and as you know, nothing makes me merrier than a tasty cocktail! This cocktail is great for Christmas entertaining, I call it the Rudolph’s Red Nose Cocktail! Do you have a special someone you’d like to meet under the mistletoe? Or are you having a cheery bundle of friends and family over to yours? Well, pay close heed, this is the cocktail for you! Ta dah! Come to me my lover! Dear Reader, Valentine’s Day is upon us again, a day bemoaned by some singletons and also by some couples. At worst, it can be a tacky day, punctuated by plastic roses and overpriced ‘romantic’ menus at sub-standard restaurants. 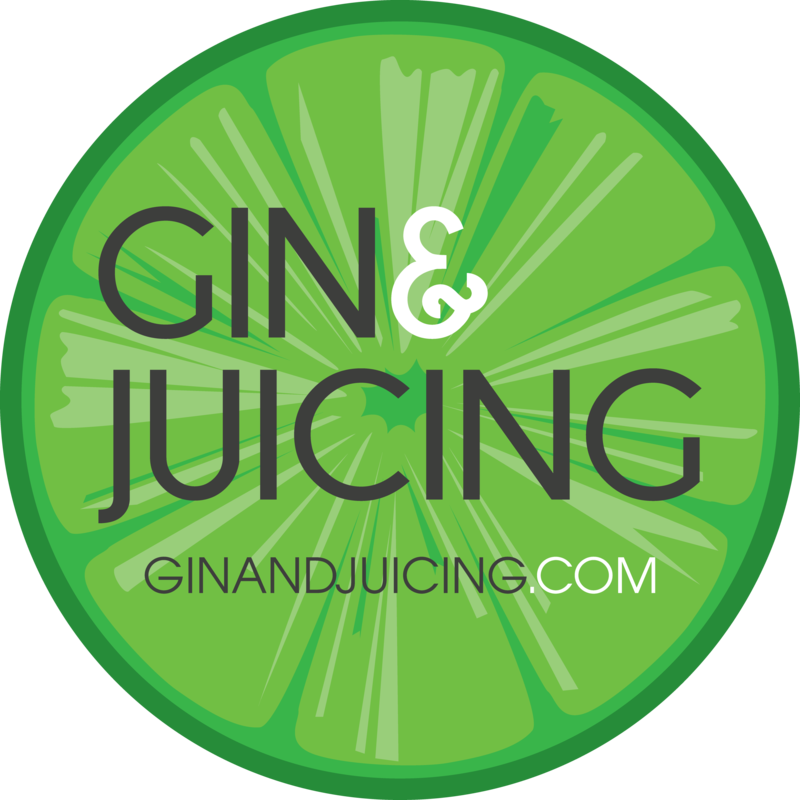 In the world of ginandjuicing we don’t settle for that kind of nonsense. Stay in with your Valentine’s date instead, make a lush meal at home (this one would do you well) and make this fantastic cocktail, The Raspberry Pitchfork. Beautiful! Looks almost like a Belgian beer! I’m not doing Dry January. I could think of few things worse than facing the post-Christmas and New Year comedown sober. Add in to that freezing, grey weather and the prospect of returning to work? No, just no. I refuse. So, on that note, I give you the Sherbet St Clements! The glorious green of the Merry Death gin cocktail. I’m not ready to let go of summer, are you Dear Reader? Let’s toast the dying rays of sun, cardigan clad, with this fresh cocktail that contains the greatest liquor known to man, gin. It’s married with cucumber, mint, lemon and ginger beer and a hint of tomorrow’s hangover to make The Merry Death cocktail.